Saludos toddos, and welcome to our final book review for the semester and for the year! We are continuing our December themes this week with one last review on winter holidays. 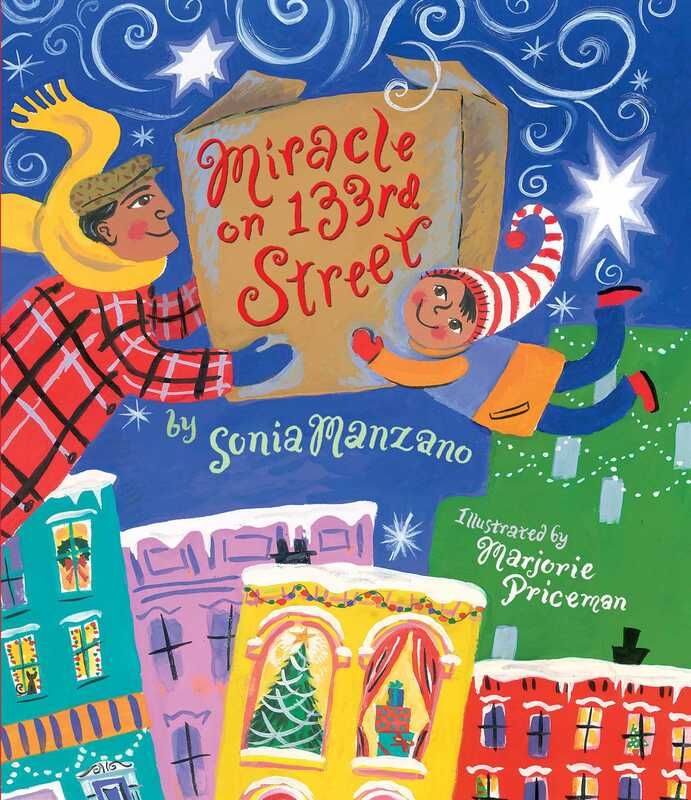 Our book for this week is La Noche Buena, A Christmas Story, written by Antonio Sacre and illustrated by Angela Dominguez. Sacre is a new name here on our blog, but I have already reviewed several books illustrated by Dominguez, including Mango, Abuela and Me, which won Dominguez the 2016 Pura Belpré Illustrator Honor Book, and Maria Had a Little Llama/ María tenía una llamita. La Noche Buena is a heartwarming story about a young girl who travels from her New England home down to Miami to spend Christmas and Christmas Eve with her Cuban relatives. It is her first time traveling to Miami for the winter holidays, and at first the warmth and humidity seem strange at this time of year: “How will Santa land his sleigh in the heat?” The unnamed, female protagonist’s parents are divorced and it is her Cuban father’s turn to have her for the holidays. The fact that the protagonist is unnamed helps readers identify with her, and her position as a child of divorced parents is an important perspective for children to witness and experience through literature. Divorce is such a common occurrence, but it is still a difficult experience for children. As young readers watch the protagonist transition between two parents, two cultures, two languages, they will witness how strong and resilient she is, a positive example for children going through similar struggles.